Tuesday 2 - 7 p.m.
Friday 2 - 6 p.m.
1st Sunday the Month 2 - 4 p.m. 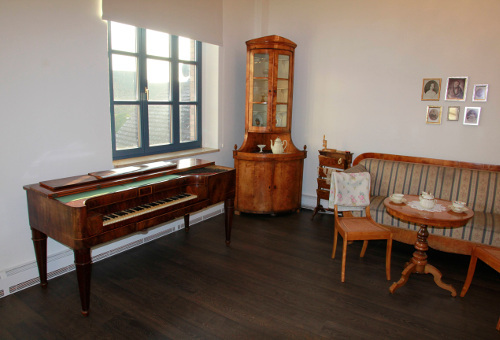 The new Carl-Loewe-Museum has been opend in April 2014 after reconstruction with extensive support by the country and the East German savings bank together withe the Saalekreis saving bank as an interesting new offer in the cultural and history of music of Sachsen-Anhalt. 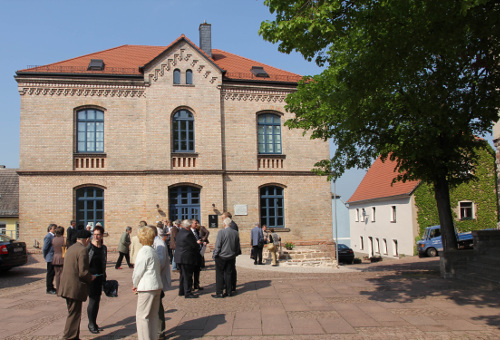 The Carl-Loewe-Museum – in the middle of the historic city center of Loebejuen next ti the City Church of St. Peter – is located in the Carl-Loewe-House which has been reconstructed 1886/87 on the basic walls of Loewes birthplace house once more as a schoolhouse again. Carl Loewe – the most famous German ballad composer – was born here in November 1796. He died in April 1869 in Kiel. 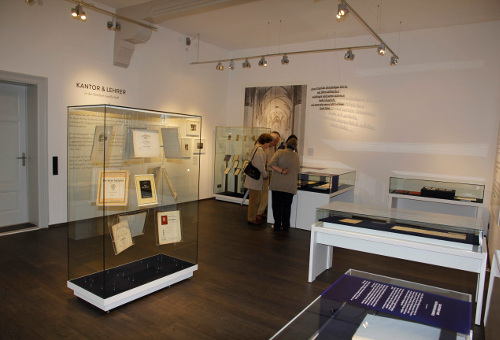 A permanent exhibition on the life and work of Carl Loewe, a chamber musc hall and the worldwide biggest collection of records with Loewe music provide the confrontation with Loewe's music in a new manner. Handwritten Note autographs, letters, original sheets of music, books and writings by and about Loewe as well as sound recordings are the basis for the development of a central, national place of documentation on the life and work of the composer. Scientific publications, biographical research are supported, inquiries from all over the world are answered to Carl Loewe and his works.